February 25, 2014  Also: The man behind the infamous @GSElevator twitter account is outed by The New York Times; Neil Young has a deal for a second memoir; Chimamanda Ngozi Adichie condemns Nigeria's anti-gay laws. February 11, 2014  The central bank's new chair makes her first appearance before Congress since being confirmed. 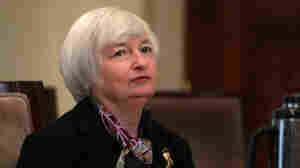 She'll also say that the economy picked up speed last year and will likely continue to grow at a "moderate pace" this year and next. 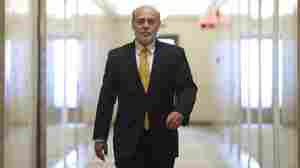 February 3, 2014  Ben Bernanke, who saw the country through a recovery from the worst financial crisis since the Great Depression, will join Brookings' Hutchins Center on Fiscal and Monetary Policy. December 20, 2013  On today's show, we tell the creation story of the Federal Reserve — one of the most powerful financial institutions on the planet. 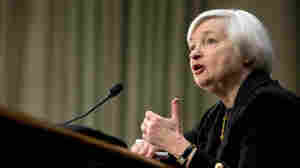 December 20, 2013  Janet Yellen would be the first woman to head the central bank. On Friday, the Senate voted to head off any potential filibuster of her nomination. A confirmation vote is scheduled for Jan. 6. 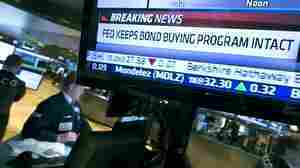 December 18, 2013  The Federal Reserve will trim its bond-buying program, reducing its purchases by $10 billion per month. December 6, 2013  The unemployment rate fell to 7 percent and employers added 203,000 jobs to payrolls in November, according to the latest report from the Bureau of Labor Statistics. 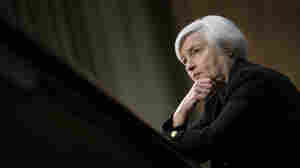 The largely positive data could build anticipation that the Federal Reserve might move to taper its stimulus program. November 21, 2013  If confirmed by the full Senate in December, Janet Yellen would become the first woman to lead the central bank. 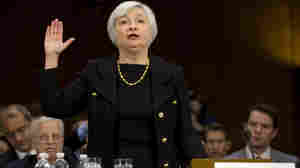 She's currently the Fed's vice chairman. 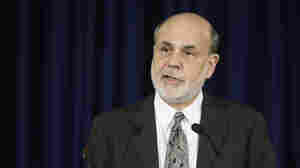 Analysts do not expect major policy shifts after the departure of current Chairman Ben Bernanke. November 14, 2013  Janet Yellen cleared a key hurdle in her path to become the next chair of the U.S. Federal Reserve, after a Senate Banking Committee hearing went smoothly Thursday. 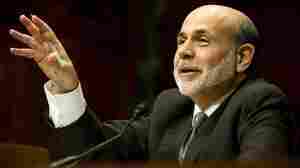 The most difficult questions centered on the Fed's stimulus efforts. 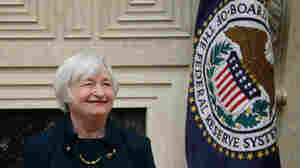 November 14, 2013  Janet Yellen, President Obama's nominee to head the Federal Reserve, has her confirmation hearing Thursday. Before she spoke, there was word that the number of first-time claims filed for jobless benefits fell only slightly last week. October 30, 2013  The Federal Reserve says it needs more evidence of a sustained recovery before halting or tapering off its bond-buying program. October 9, 2013  Also: Boehner says short-term shutdown deal would be 'unconditional surrender" and U.S. to cut some military aid to Egypt. 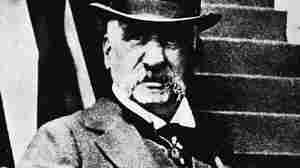 September 26, 2013  We ask a former Fed economist: What does the chairman actually do? The short answer: Runs the meetings. Turns out, this is actually a big deal. September 24, 2013  Somehow, information about the Fed's bond buying decision got into computers in Chicago faster than the speed of light. Those milliseconds meant millions. 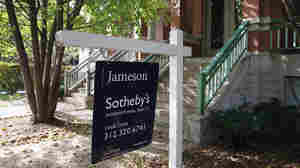 September 17, 2013  Consumer prices rose just 0.1 percent in August and were up only 1.5 percent from a year earlier. The report seems to fit with the notion that the Federal Reserve has accomplished its objective: Give the economy enough of a lift to keep it moving, but not so much that inflation takes off.